My best purchase last week? 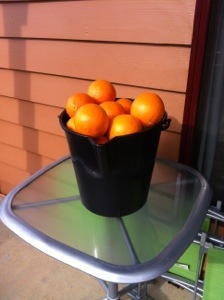 My local IGA had a trolley full of oranges, with a big pile of buckets next to it – fill a bucket and take the lot home for $4.99. Yum. And my cosy burnt orange cottage!